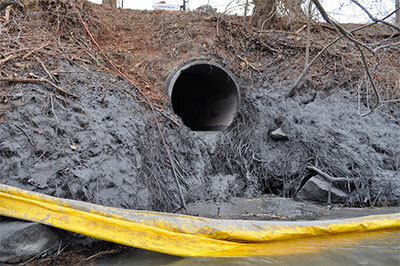 Toxic Coal Ash Flows into Dan River, N.C.
Around Feb. 1st, 2014, about 82,000 tons of toxic coal ash sludge from an unlined coal ash pond was carried into the Dan River when a large storm water drain pipe broke. The drain pipe that’s in the town of Eden, North Carolina runs directly under a literal mountain of coal ash, accumulated from a now de-commissioned steam power plant. The company that ran the local coal-fired power plant, Duke Energy, shut down the plant in 2012. Home to much wildlife, the river stretches over two-hundred miles from the high points in North Carolina, on through Virginia, and finally to the Atlantic Ocean. 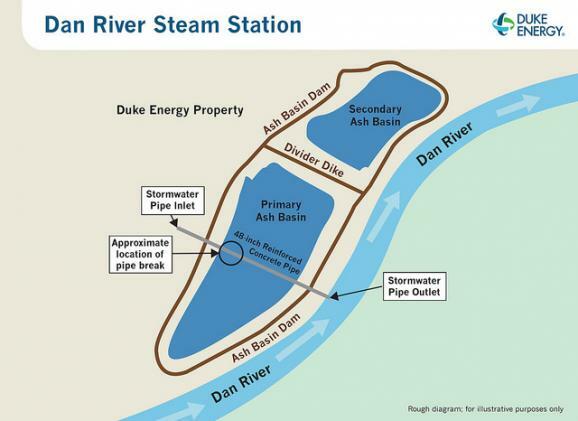 The Dan River Basin Association is testing the water and sediment downstream from the spill. The water has turned from a charcoal gray to a khaki brown indicating that suspended solids are either washing out or settling, but it’s too early to know what the effect on wildlife in and around the river. There is no such thing as “clean coal.” When coal is burned to create energy in power plants, ash is the byproduct. 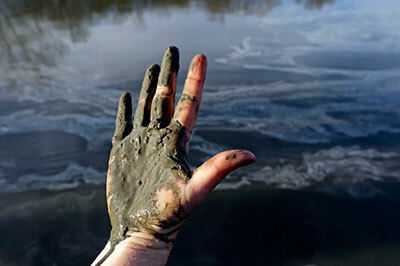 This coal ash contains all kinds of toxic contaminants such as arsenic, uranium, and other heavy metals and toxic substances. The Dan River provides drinking water to about 43,000 residents in Danville, Virginia. The director of the areas water and wastewater treatment plant, Barry Dunkley, has stated that their tests have so far, shown nothing unusual and is still safe to drink. 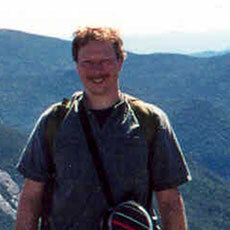 However, I’m not so sure that I would trust the opinions of so-called officials. Multiple tests are being conducted by the treatment plant, the Dan River Basin Association, Duke Energy, and North Carolina state officials to monitor the river water. The only way to assure that your water is is clean enough to drink is to install your own home water filter system to make it safe to drink.